Grow Some Birdhouse Gourds This Year! 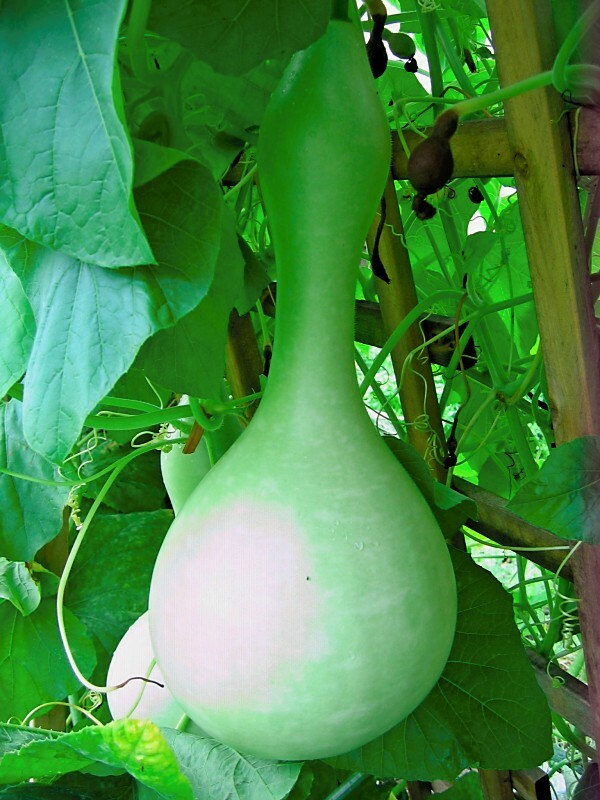 When you are starting seeds this year, consider planting some birdhouse gourds (Lagenaria siceraria). This viney plant is fast growing and very easy to care for. Once the gourds have matured, they can be harvested for use as a birdhouse or bird feeder, or even more creatively as bottles or bowls. Birdhouse gourds can be grown as an annual in any zone. In cooler climates, you will want to start your seeds indoors about a month before the last frost. These gourds will need approximately three months to mature. The only type of fertilizer we used was compost. Before we planted the gourds, we worked a couple inches of compost into the soil. 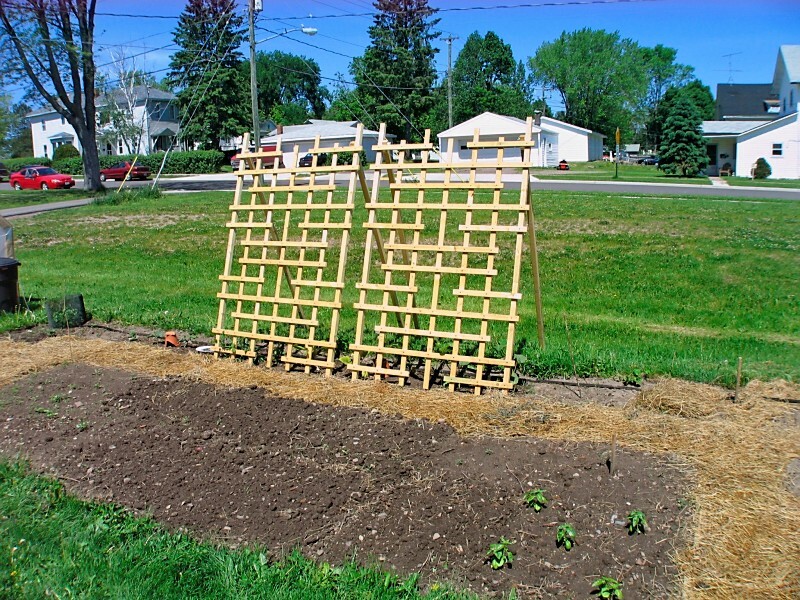 The compost not only provides nutrients, but helps to keep the soil moist. Be sure that your birdhouse gourds get watered regularly, especially if you live in a dry area. They will appreciate a good soaking every now and then. Once the plants are established, there is not much else that you need to do. They will grow rapidly and begin blooming by early summer. The white flowers produced by this plant are very pretty and attract bees, butterflies, and even hummingbirds. 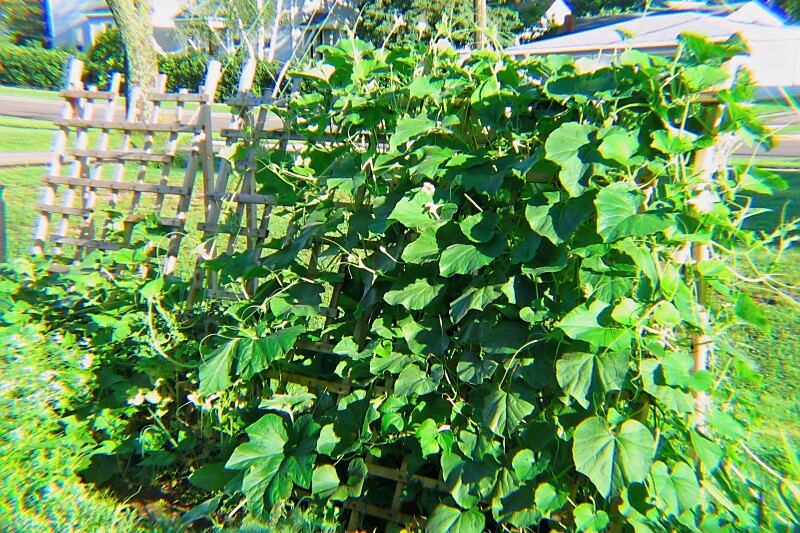 Not long after the plant blooms, the gourds will begin to appear. They will grow to be quite large. 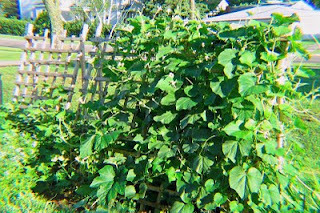 The gourds should be allowed to mature on the vine until the plant begins to wither and die back; the gourd should be very firm. Once the gourds are fully matured, they can be cut off, leaving a couple inches of the stem on. Perhaps the most crucial step in drying out these gourds is the cleaning process. To avoid rotting gourds, they must be cleaned properly before drying. To do this, you will want to first wash the gourds with cool, soapy water. Rinse well, and then wipe the surface of the gourds with a vinegar/water solution (1 part vinegar, 1 part water). Allow the gourds to dry in a dark, well-ventilated﻿ area. When choosing your drying area, keep in mind that gourds will need at least six months to dry. The area you decide on should be an out of the way spot, with low humidity. Some possibilities may include the attic, garage, shed, or closet. We set our gourds on paper bags for drying, but other options could be screens or racks, or they could be hung by their stems. Make sure the gourds aren't touching each other, and have plenty of air circulation. It may be necessary to turn a fan on them during humid times. Do not be alarmed if you begin to see mold forming on your gourds. This is a normal part of the drying process. As long as the gourds were well cleaned before curing, there should be no danger of them rotting. Don't be tempted to wipe the mold off the gourds. Allow the gourds to continue drying undisturbed until they become light and you can hear the seeds rattle when shaken. Be sure to save some seeds from your gourds to plant next year! To make your gourd into a birdhouse, you will need to cut a one inch hole into the gourd for the birds to enter. You will also want to drill a couple smaller holes in the bottom for drainage. Drill two holes near the top, and thread a wire or chord through to hang. A bird feeder can be made much like the birdhouse, but rather than cutting out a small entry hole, you will carve out a large area in one side. 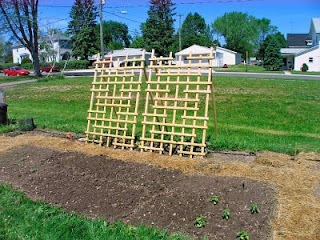 Fill with seed and hang. Saw off the tip of the gourd to create a bottle. This can be painted and embellished. Cut off the long neck of the gourd, leaving a bowl shaped piece. You can decorate a gourd bowl by carving, painting, using a wood burner, or paper-mache. These are just a few ideas; the possibilities are endless. There are even entire books written on gourd crafting. Use your imagination, and who knows what creation you could come up with.